The existing capacity of the ethylene crackers at the Norco site after the 2000 expansion is about 1.5m tons per year. Norco, Louisiana is a major ethylene production centre, fully owned by Shell. Along with Deer Park in Texas, it is the main ethylene supplier for Shell Chemical’s operations in North America. The two plants are the main supports of Shell’s Gulf olefins system. The plant is located on a 700-acre site in St. Charles Parish, Louisiana. The plant generates about $16m in tax revenues to the state and pays about $6m as property tax. The objective of the expansion of the Shell facilities in both Louisiana and Texas was to defend and possibly expand the company’s market share. Shell Chemical is a major competitor in the US merchant ethylene market. The Norco site has the advantage of being placed next to a refinery. It has been integrated into the Motiva Refinery. The adjoining sites of Shell Norco plant are Dow, Valero Refinery and Hexion. This allows it to exploit economies of scale, particularly very low transport costs for the Louisiana plant’s feedstock. The plant produces lower olefins such as ethylene and propylene, olefin feedstocks and aromatic feedstocks. They include ethylene, propylene, butadiene, secondary butyl alcohol. It has storing facilities for butylenes, butadiene, secondary butyl alcohol and olefin feedstocks. Economies were an important priority for the Shell group, including its petrochemical arm, between 1996 and 2000 and a major part of these savings were generated by a cutback in capital investment. Half of the remaining worldwide capital budget, however, has gone to sites in the Americas, including the Norco plant. The Norco ethylene plant was established in 1920 and Shell purchased Norco in 1929. The west site chemical plant was constructed in 1955. It was expanded from 1995 to 1996, and expanded again beginning in the second quarter of 2000. There was also a substantial de-bottlenecking operation in 1999. 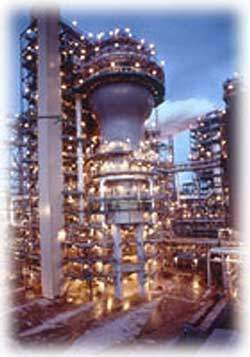 The olefins plant was integrated with gas olefins plant no.1 (GO-1) and liquid olefins cracker no.5 (OL-5) in 2000. ABB Lummus Global was contracted as an engineering, procurement and contracting supplier for an ethylene furnace in 1996. The furnace uses SRT technology and was installed in April 1996. The ethylene furnace it installed saw the facility’s capacity increased by about 200,000t/yr. Shell Chemical completed the de-bottlenecking operation during the first quarter of 1999. Ethylene capacity expanded by more than 15%, that is by approximately 200,000t/yr. The operation also increased propylene capacity at the same time. The 2000 expansion saw ethylene capacity increase by 250,000t/yr to 1.5m tons per year. The propylene capacity rose by 100,000t/yr. This takes the Norco production capacity to 1m tons per year. The existing capacity of the ethylene crackers at the Norco site, after the 2000, expansion is approximately 1.5m tons per year. This makes it roughly the same size, in terms of tonnes produced, as the Port Arthur site. Feedstocks for the Norco expansion are made up mainly of mixed refinery off-gases and heavy liquids. Shell Oil has a refinery capable of producing 220,000 barrels per day at Norco, next to the petrochemical facilities. Although some of the new capacity was consumed internally, the bulk of the output is sold. The 2000 expansion requires feedstock of about 18,000 barrels per day from the refinery. Most of this was propane, diverted from sales to outside customers. The plant has achieved ISO 9001-2000 certification for lower olefins in 1993. It also achieved the certifications for butadiene and methyl ethyl ketone (MEK) in 1995 and for high purity resins in 1996. The plant has also received the ISO certification for environmental management system in 2003.